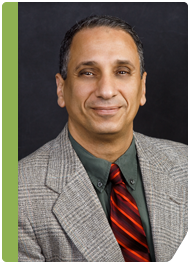 Poplar Healthcare » Atef N. Hanna, M.D., Ph.D.
Dr. Hanna received his medical degree from Ain Shams University, followed by completing a Ph.D. in pathology from the Ohio State University. He conducted research in the field of signal transduction of cytokines and second messengers at Ohio State University and University of Alberta, Canada. He has several publications in peer-reviewed journals. Dr. Hanna received residency training in pathology at the University of Tennessee followed by a fellowship in cytopathology at the University of Michigan. Dr. Hanna then went on to complete a fellowship in gastrointestinal pathology at GI Pathology. He is a member of the United States and Canadian Academy of Pathology, College of American Pathologists and American Medical Association.